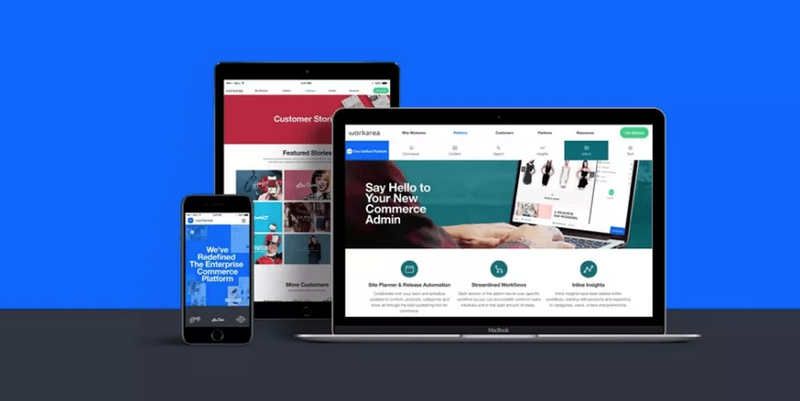 Built for a new era of digitally native consumers who expect a seamless journey across all of their devices and platforms, Workarea will enable SUMO Heavy’s clients to create rich cross-platform shopping experiences faster with its flexible commerce platform. Workarea brings together commerce, content, search, and merchant insights into a single unified platform to help retailers eliminate existing silos and operate more efficiently, an approach that aligns with SUMO Heavy’s core philosophy of helping clients drive “efficiency through process” to increase profitability. Founded in 2010 by local entrepreneurs Bart Mroz and Robert Brodie, SUMO Heavy has worked with a variety of clients, including both global brands and high-growth retailers like Pitney Bowes, Rogue, Pet360, Stadium Goods, and more. From agile planning and project management to platform migration and organizational digital transformation, SUMO Heavy offers a range of services to help its clients navigate the ever-changing retail space. The partnership with Workarea comes on the heels of its return to Philadelphia and is one of several projects SUMO Heavy has in store for 2019. In addition to rapidly expanding its client base, the company recently announced the opening of a new office in the Old City section of Philadelphia, as well as the relaunch of The Register, a full-length retail podcast that builds on the success of its bite-size retail podcast series The eCommerce Minute. Workarea is the commerce platform of choice for digital commerce innovators. The platform combines enterprise B2C and B2B commerce functionality with robust content management, site search and merchant insights, giving the business unprecedented control and creativity. Companies such as Reformation, Lonely Planet, The Bouqs, Sanrio, Costume SuperCenter, Lime Crime and many others are creating rich commerce experiences faster with the most flexible enterprise commerce platform. To learn more, visit www.workarea.com.